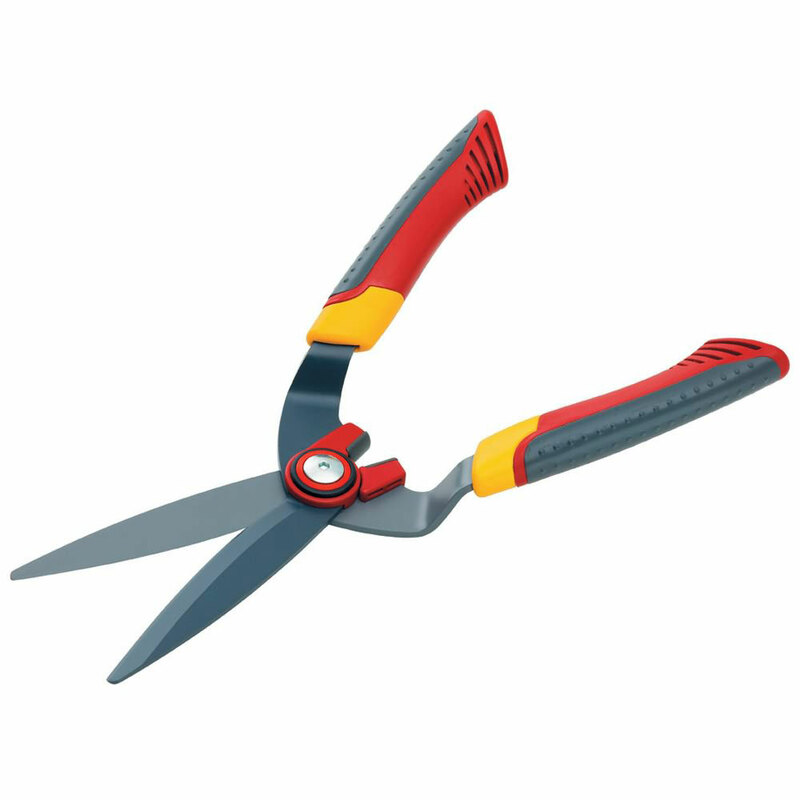 Wolf-Garten Box Tree Shears designed specifically for training and clipping topiary trees or hedges with shorter blades. Flexible pruning of topiary plants with thicker branches is made easier due to the ability of pre-tensioning individual blades. High stability plastic handles with shock-absorbing buffers and a patented fine-adjustable bearing clearance, ensure simple, trouble-free, perfect box tree cutting.